The Welsh Borders have been a popular tourist destination for over two hundred years, and it’s easy to see why. The Wye Valley, which stretches from the hills of Mid Wales to the flats of the Severn Estuary, offers some of the most dramatic and scenic landscapes in the UK. Discover idyllic villages, isolated hamlets and thriving border towns whilst unfolding a unique history. Visitors can enjoy the area’s historic buildings, breathtaking scenery, indulge in some river-based activities or take a road trip and follow the river from its source in Plynlimon to its dramatic exit into the Severn Estuary at Chepstow. Straddling the Welsh/English border, the Wye Valley encompasses parts of Herefordshire, Gloucestershire and Monmouthshire. It makes an excellent base for a short break or family holiday, so here’s our guide to some of the best Airbnbs the area has to offer. Tintern Abbey is one of the most famous ecclesiastical ruins in Wales. Sitting on the banks of the River Wye, surround by the village of Tintern Parva with plenty of pubs, restaurants and souvenir shops, this large home sleeps up to seven guests in four bedrooms. Just thirty minutes’ drive from the vibrant city of Bristol and under an hour from Welsh capitol Cardiff, Tintern is in a beautiful stretch of the Lower Wye Valley. It’s well-placed to enjoy long walks along the Offa’s Dyke footpath, which follows an 8th-century earthwork stretching from the top to the bottom of Wales, or visitors can enjoy the more leisurely pace of the Wye Valley Walk. This property has views over the river and across the valley. Birch Cottage, situated in the riverside village of Brockweir, is a beautiful eco-retreat suitable for up to six guests in four bedrooms. Centrally located in the Lower Wye Valley, Brockweir is an excellent base from which to explore the surrounding area. Just ten minutes’ drive from the historic bordertown of Chepstow with its imposing Norman castle, the river forms the border between England and Wales, and you really are only just creeping into England when you choose to rent this quirky Airbnb. Famous for its internationally renowned litery festival, Hay-on-Wye is a sleepy little bordertown close to the River Wye. Dozens of bookshops, cafés and independent shops all make this an excellent place to stay, whatever time of the year. 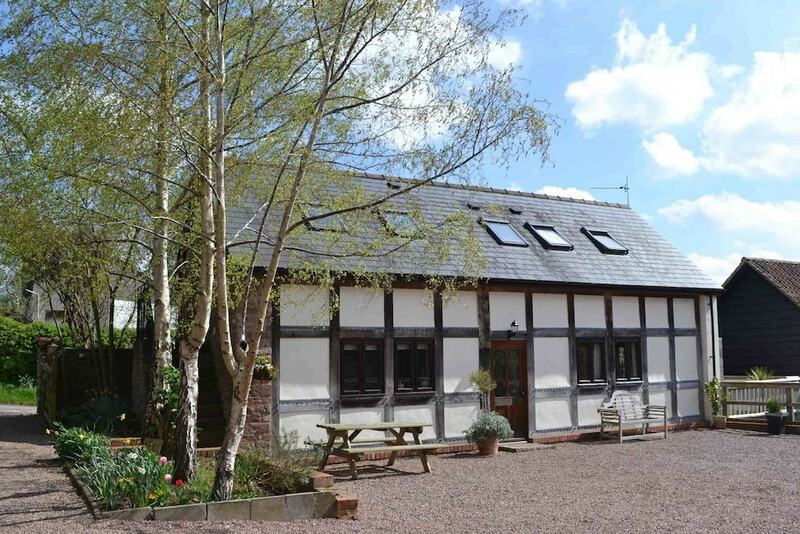 The Wye Valley and the Black Mountains are on your doorstep when you stay in this idyllic little cottage. 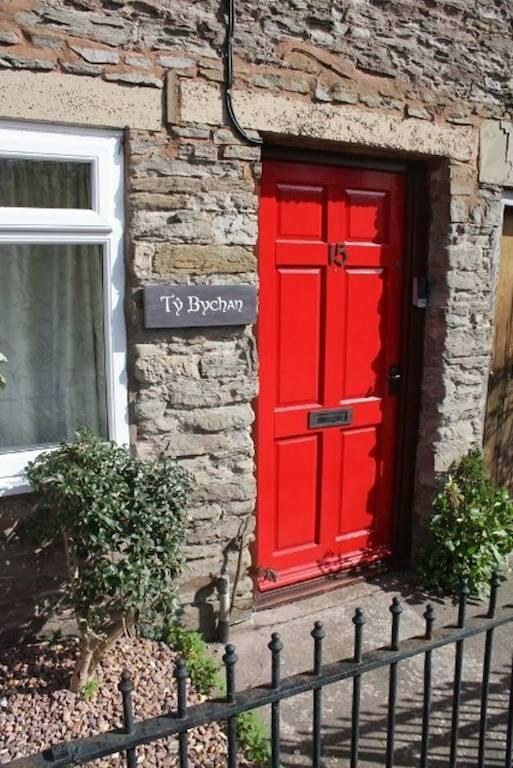 Sleeping just two, and with a cosy wood-burning stove, Ty Bychan is perfect for that romantic weekend break. 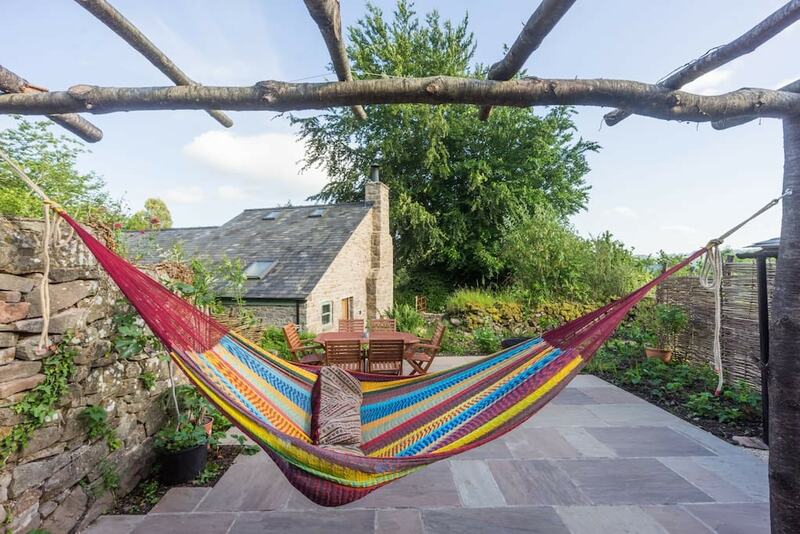 This converted 17th-century sandstone and timber stable and granary is located midway between the vibrant city of Hereford and the idyllic market town of Ross-on-Wye. Close to one of the largest loops in the River Wye, it comprises two bedrooms, accommodating four guests. An ideal base for fishing, walking or canoeing, there is also an excellent pub in nearby Hoarwithy. With pets and children allowed, this little gem is certainly one not to miss – and do keep an eye out for some rather excellent Victoria Sponges! This character Grade II listed townhouse is located in the busy border market town of Monmouth. 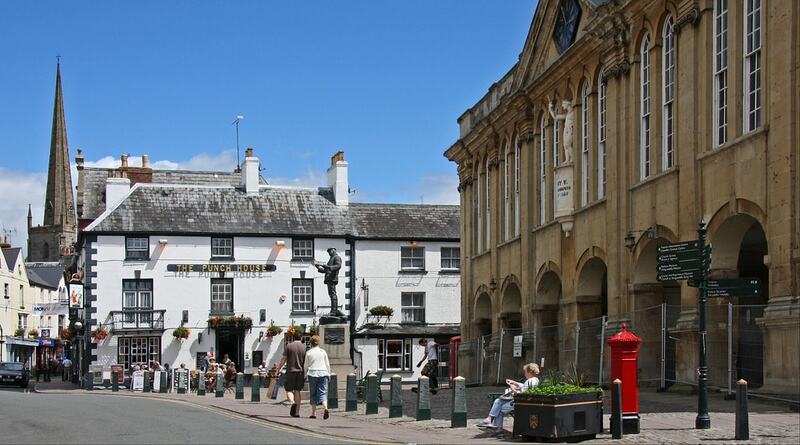 With pubs, restaurants, a museum and lots of great independent shops, Monmouth is the perfect base for a family holiday. Why not hire a canoe and paddle downstream before enjoying a leisurely lunch in a riverside pub? Or, climb up to the top of the Kymin Hill to enjoy the far-reaching views and discover the history of the Round House. The property sleeps four guests in two bedrooms, so is ideal for families. All facilities are virtually on the doorstop. 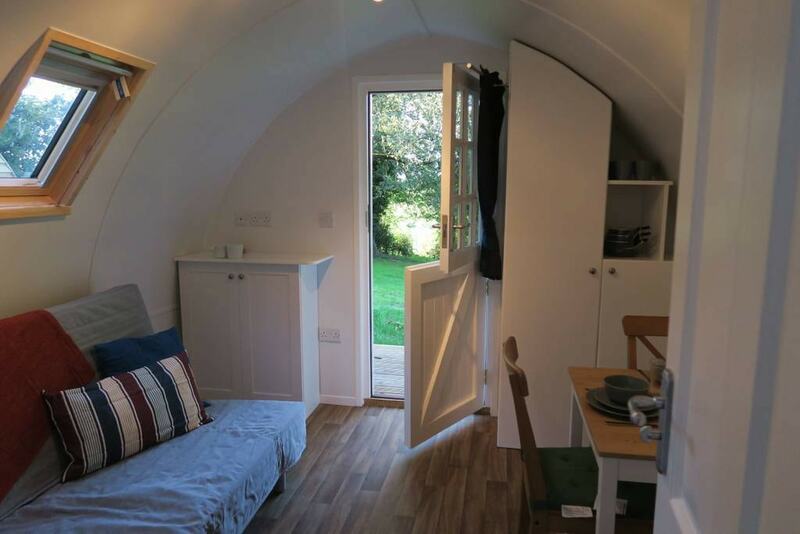 Situated in the pretty village of Fownhope, close to the city of Hereford and on the Wye Valley Walk footpath, Silver Birch is as far removed from traditional camping as its possible to be. Perfect for a cosy romantic getaway for two, this luxury pod has its own private bathroom with full-size shower and cooking facilities. Perfect for exploring the riverside and enjoying a little bit of city life, including the medieval Mappa Mundi, an early map of the world that has its own museum close to the cathedral. One of the Victorian’s favourite holiday spots, Symonds Yat is a village of two halves – one on either side of the river. This is in Symonds Yat East and is close to the nationally famous Symonds Yat rock with its panoramic views over the valley and across five counties. 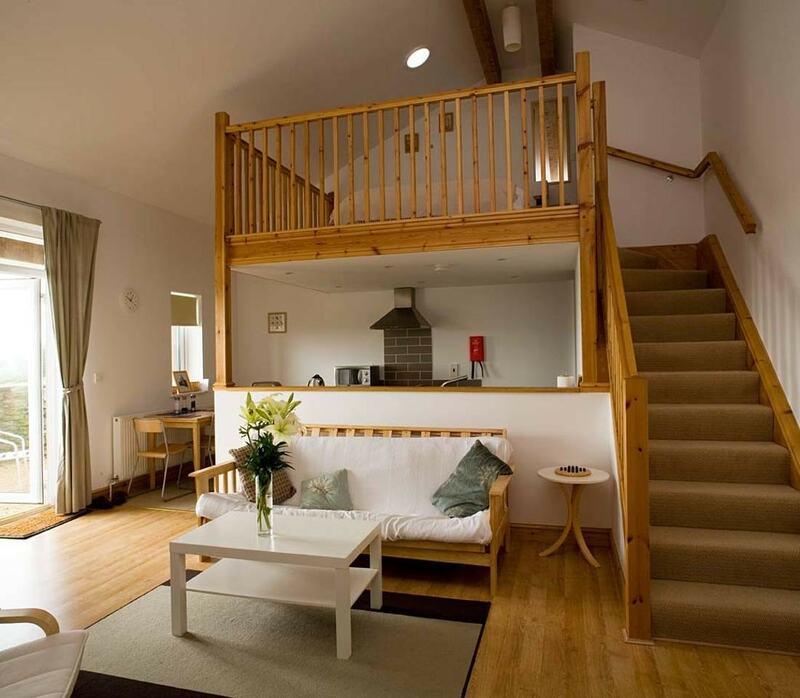 This contemporary lodge offers stylish accommodation for two guests. Close to the Forest of Dean, it allows for ample opportunity to discover this very special part of the country.